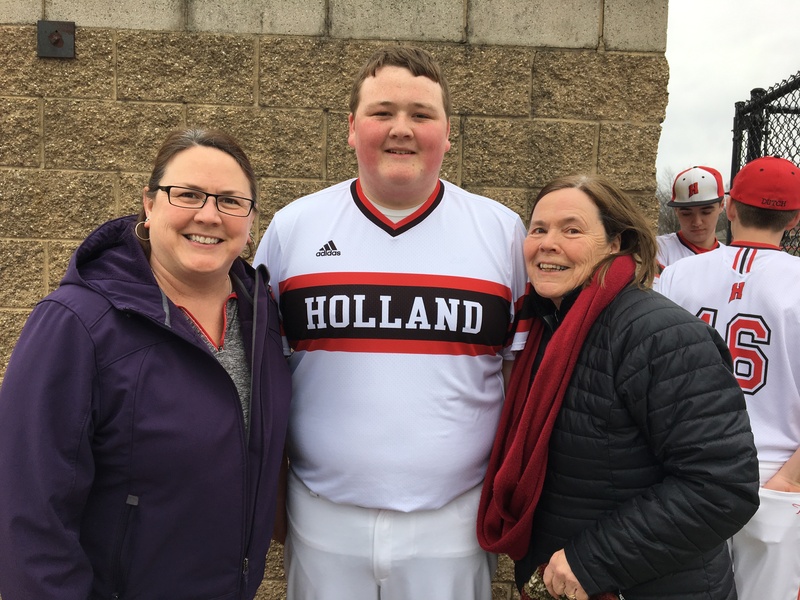 Jennifer Roger’s family has a history of four generations in Holland, Michigan. Her grandmother, Beatrice, was born in 1921 at her home on 13th Street. Jenn’s mother, Jenn and Jenn’s son were also born at Holland Hospital. All four generations have attended Holland Public Schools. Jennifer was inspired by her aunt to pursue a career in laboratory sciences. Her aunt, Jane Fairbanks, worked in the laboratory at Holland Hospital beginning in the 1970s. Jenn followed in her footsteps straight out of high school. She attended Ferris State University and graduated with a B.S. in Medical Laboratory Science. Ferris found Jenn an internship in Muskegon and from there she applied for a job at Holland Hospital. 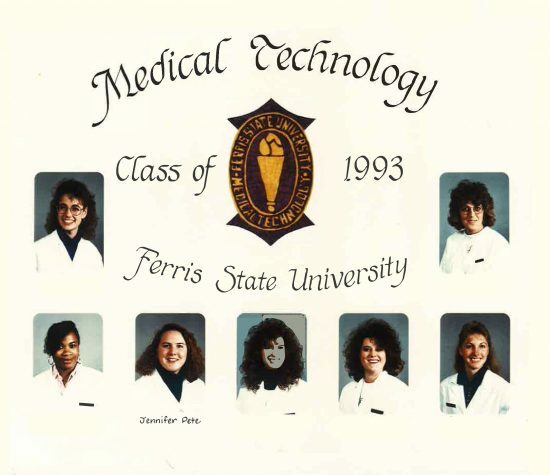 In 1994, she began working at the hospital on the second shift with occasional midnight shifts on the weekend, and as a Technical Consultant in the hematology area of the lab. Jenn loves the consistency and rhythm of the lab. You have to follow specific steps in a specific order to get accurate results. Between 70-80% of decisions made by physicians are based on lab results. Jenn emphasized the importance of making sure they are correct. Though lab scientists never work face to face with patients, it is clear that patient care is still the motivation for doing excellent work. As Jenn’s career advanced, she became the second employee to take a position in laboratory customer service. Her role there was to advocate for the lab as well as the person on the other end of the telephone. This is one area of laboratory science that is unpredictable and Jenn enjoyed the challenge! Jenn remained in customer service for eight years and in 2006, she applied for a management position. In 2007, Jenn became the Laboratory Technical Manager for performance testing and continues in this role today. Though this position is much different than where she started, Jenn has found her niche. She still gets to be involved in the technical side of the lab but also excels in managing the people who work there. When Jenn looks back on how the lab has evolved since 1994 it is striking. There used to be an instrument and a person for every test but now there are single instruments that can run 20-30 different tests. Thankfully, a machine still requires a person to run it and Jenn is grateful for that. The lab has also moved locations since Jenn began and the new facility is impressive. There are roughly 100 employees who work there. For the future of medical laboratory science, Jenn sees the biggest changes occurring in molecular diagnostics. The development of molecular testing will ensure faster and more reliable results as technology looks at the DNA of a specimen rather than a culture. Join the conversation on social media and spread the word about this local success story. Use the hashtag #HollandHospital100.